Casino Saga is giving away free spins on the new NetEnt slot, The Wish Master. This Wednesday June 25th and Thursday June 26th you are able to get 10 to 60 free spins on the new slot game when you defeat a boss. Each time you defeat a boss you will receive a minimum of 10 and a maximum of 60 free spins. You can defeat as many bosses as you like during the two-day period and are awarded with free spins each time you do. The free spins will be added to your inventory instantly. Casino Saga is more than just an online casino. You make your way through an island full of bosses. Each time you encounter a boss you have to fight him. Winning will award great rewards, loosing sets you back and you have to start again (of course all these boss fights are free and an extra feature). It is a great way to play at an online casino and completely new. If you haven’t checked Casino Saga out yet, be sure you do. It is something you haven’t seen before, anywhere. You can read more about it in my Casino Saga review. And when you sign up you get up to 500 free spins on several slot games and can also participate in The Wish Master promotion mentioned above. Good Luck fighting those bosses. 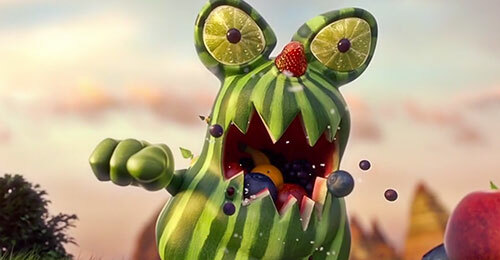 By the way, that watermelon monster above is the 10th boss you will encounter.